I was at two schools today in Cabot, Arkansas near Little Rock. Southside Elementary with Melissa Wilson where I spoke to K thru 4th grade. And Cabot Middle School South with Stephanie Collins speaking to 5th and 6th grade. Both wonderful schools with outstanding librarians. I’ve fallen right back into School Visit Mode without a glitch. Asleep by 7PM. Up at 2AM for a long very hot shower at the Peabody Hotel without worrying about water conservation, which was a great way to start the day. 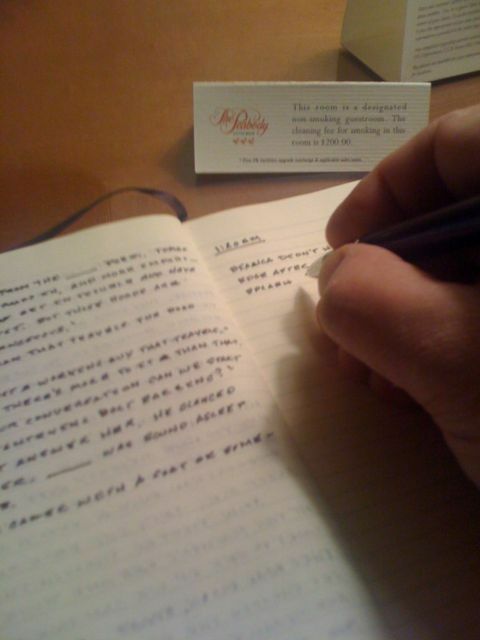 At the desk by 3AM writing until Melissa came by to pick me up. i cnt whate till i’m done!!! thanks alought for coming to middle school south it was really cool to see you. Thanks for comming to Cabot Middle School South! I enjoyed listening to you talk and explain how to write like an author. I absolutly love your books and hope to read more! You are my favorite author of all times! I think you are the best author I think I would be interested in reading the books Tentalcles, the Red Wolf One, and the Elephant one (not Elephant Run, and many more!!! I am hoping to read those soon!!! Thank you for visiting our school I really enjoyed the storys about the adventures and how you saved the red wolvesfrom .I know that me and all my fellow students loved your program.I hope that one day I will be able to see and meet you in person again. 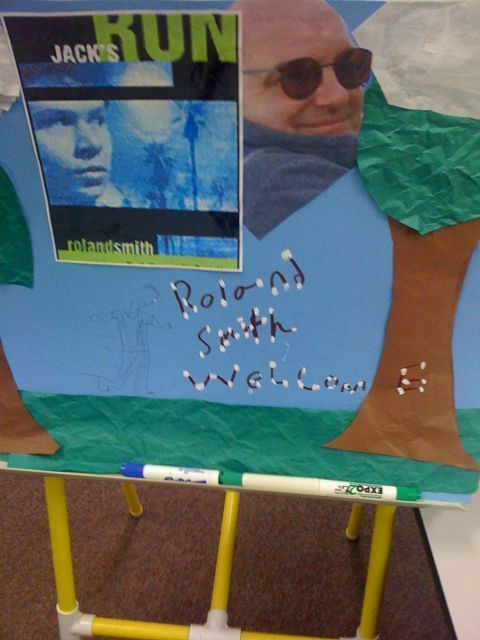 Roland Smith came to cmss he made me want to check out his books.that was a cool thing for him to do so thinks for comeing to cmss in cabot. 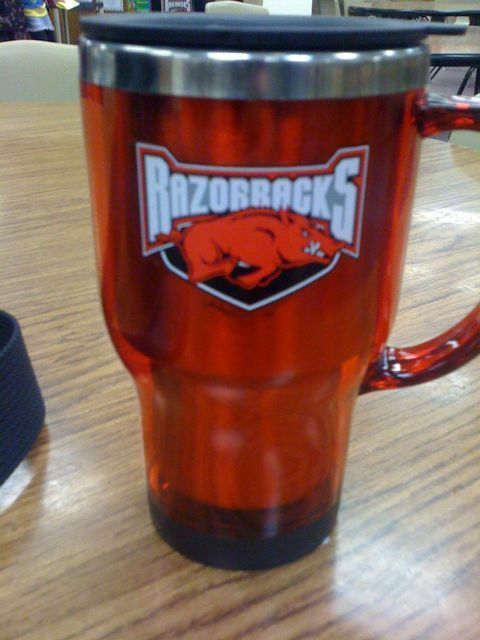 GO HOGS!!!!! i love your books and i liked it when you came to my school,Cabot Middle School South.you were very kind to everyoone and i loved all of your “david” storys that you had-They were really funny.i hope you had a very pleasant time at this school. i know a lot of people in the cabot school. You are coming to my school tommarow and i am hoping to see you. thank u so much for comeing to cmss i really enjoyed your speech!!! you are very lucky to have been most all around the world!!! I love your wolrk!!!! Thanks so much for coming to Cabot Middle School South on monday! I really love your books, and im gonna go buy Peak this weekend. OMG im like so exited! P.S. Im in the fifth grade. I love the book Elephant Run! It’s one of my favorites. I really want to read Zack’s Lie and Tentacles. Thanks for coming to Middle School South! i LOVE your books . 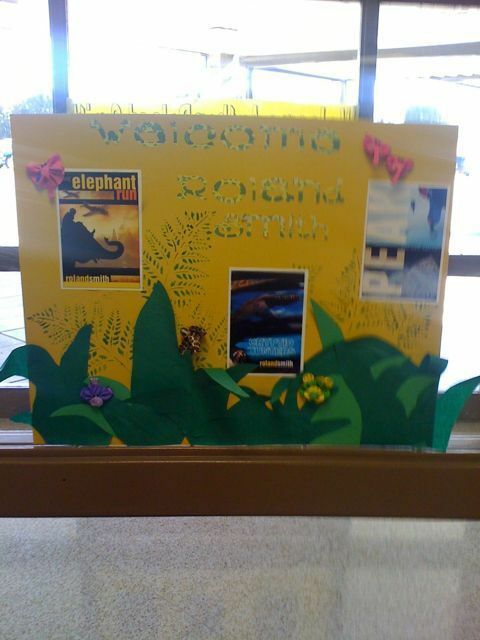 my class is enjoying the book,Elphant Run in their lituracy circles . Hope i came be in their group.